The fright period is a September end from the end of June. 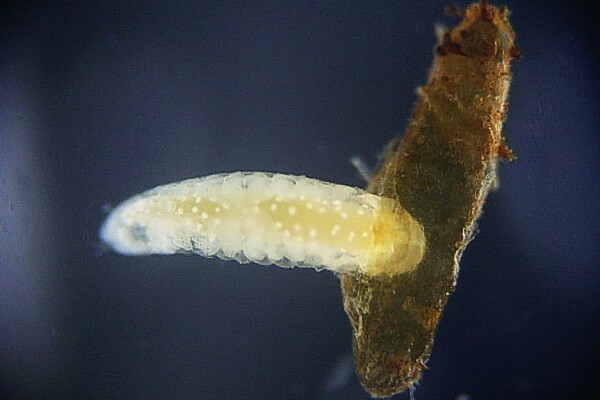 The larva of Boyeria maclachlani is inhabiting in small flow and, river. I am confirming 2 species of egg-parasitoids wasps from Boyeria maclachlani up to now. These 2 kinds of egg-parasitoids wasps are belonging to Eulophidae and Scelionidae. 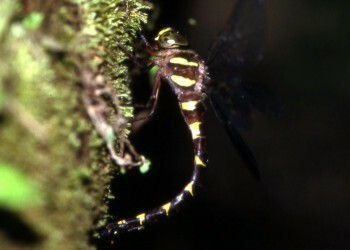 Ｆigure20-1: 1.Oviposition of Aeshna nigroflava. 2. 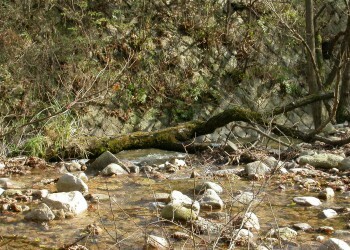 The inhabiting environment of Aeshna nigroflava. Ｆigure20-8　Male of Eulophidae before emergence January 1, 2005 Ｆigure20-9　Male of Eulophidae January 15, 2005 Male: body length 1.32mm. Ｆigure20-10　Pupa of the female of Eulophidae January 4, 2005 Ｆigure20-11　Female of Eulophidae January 6, 2005 Female: body length 1.63mm. 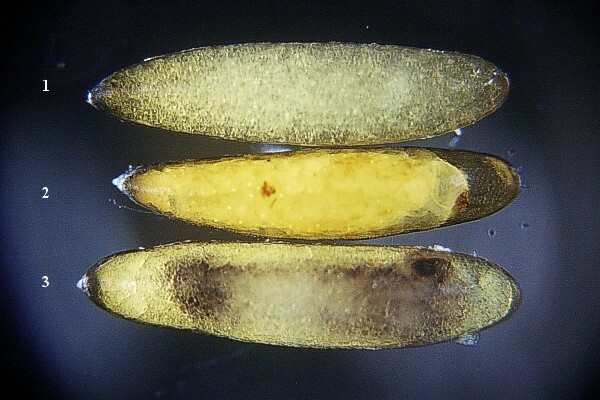 Ｆigure20-12　Pupa of Scelionidae April 21, 2005 The larva of Scelionidae becomes a pupa in the egg of the host.